To increase the daily content for this blog, I’ve decided to start digging back into the archive and occasionally spotlighting one of the 300+ reviews I’ve written for the site thus far. Some of the movies that will be featured in “Retro Review” will be golden oldies, others could be classified as unappreciated gems, and still others will likely rank as unadulterated crap. This first installment of Retro Review will be spotlighting — what else? 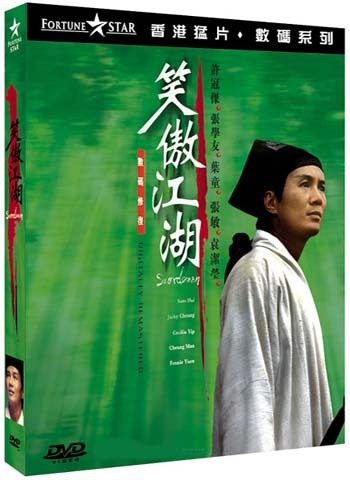 — the very first review I ever wrote for LoveHKFilm.com — the Tsui Hark-produced 1990 film, Swordsman. When Kozo was looking for new reviewers way back in 2002, I contacted him expressing interest, and this review was my “try-out” for the site. Apparently, I passed the audition. Whatever its merits, in this early review, you can read not only my unbridled enthusiasm for Hong Kong cinema, but my initial interest in packing in as much detail and trivia as humanly possible.